At the extremes of the Earth, expect extreme environments: iceberg graveyards, monumental landscapes, highly adapted wildlife, sunshine at midnight, shocking beauty. Cruise across the Antarctic Circle and you are automatically a member of an elite club. You become one of only a few intrepid human beings in the history of the world who have ventured this far south. And what an adventure you can expect. You’ll see huge colonies of nesting sea birds. You’ll sail past the vast, white silhouettes of icebergs carved into fantastical shapes by piercing winds. Ghosts in a silent graveyard. Have your camera constantly to hand; you may easily spot the leviathans of the deep, see comical penguins and encounter cute-faced killers, like leopard seals. Price representative of 13 nights on board the M/S Expedition, excluding economy class flights & airport taxes. Embark and depart from the bustling port of Ushuaia in Argentina. Cross Drake’s Passage with briefings from your Expedition Team. Explore the peninsula; spotting whales and penguins. Take excursions onto the continent. Listen to glaciers and icebergs cracking and grumbling. 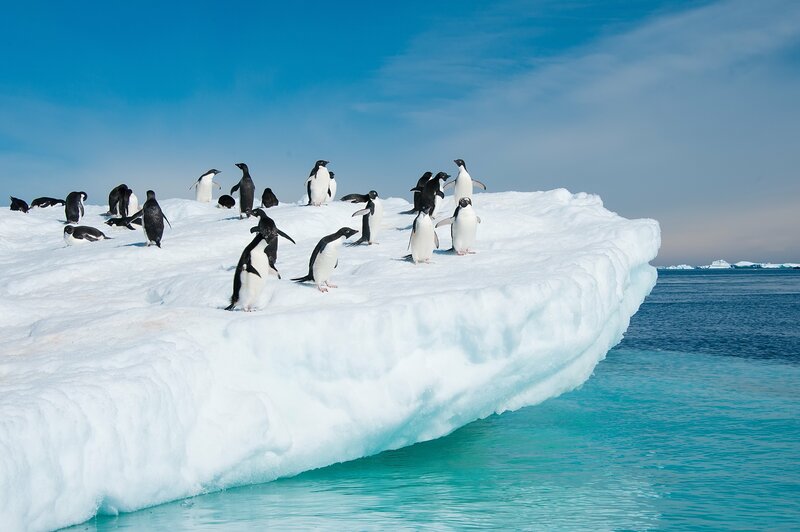 Celebrate in style as you cruise over 66° 33’ S – the Antarctic Circle. Take Zodiac excursions to icebergs and photograph wildlife. Cruise Drake’s Passage, with fascinating lectures from the Expedition Team. Disembark in the morning to catch your homeward flights.